It's time for a very special, pre-Upfronts CBS renew/cancel, in which Code Black and Elementary will receive their initial predictions. The medical drama has averaged a 0.7 this season so far. That's very unimpressive and it actually puts it in flop territory for the first time. While the show is no stranger to the bubble, and CBS seems to be a fan of it, that probably won't be enough for a fourth season. It's a close one, and Code Black hasn't flatlined just yet, but it seems like this might be the end of the line for it. CBS's lowest Sunday-Friday show, Elementary has survived this long due to its lucrative syndication deal. This time around, contracts will have to be renegotiated. The low-rated show has to end sometime, and with some hurdles in the way of its renewal, this is probably it. Don't count Holmes and Watson out just yet, even if they are down. What do you think of these predictions? 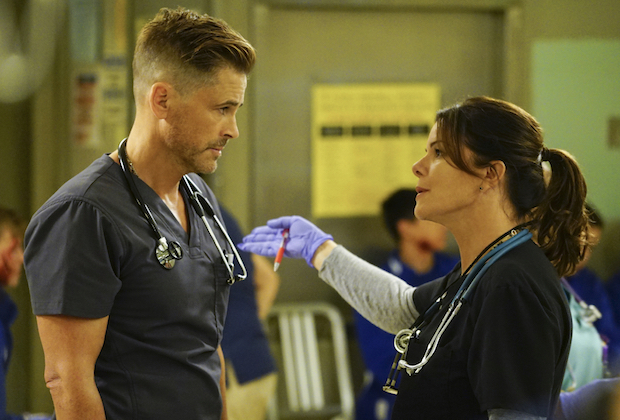 What will happen to Code Black and Elementary? Drop a comment below and let me know what you think!